Simplify Your Life with a Single Page Life Plan©! 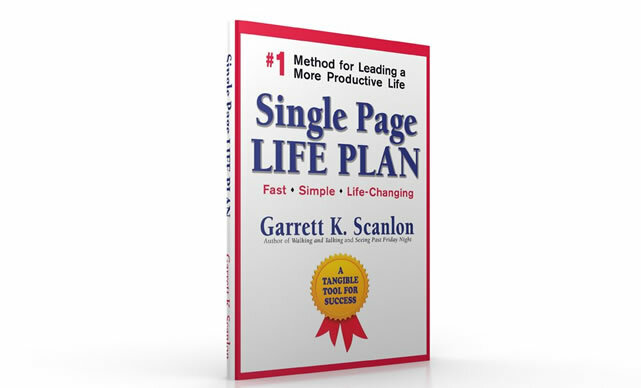 After years of helping his friends and colleagues create a Single Page Life Plan©, author Garrett K. Scanlon wrote this book to help you create a life-changing plan in a fast and simple way. Once a life plan or a business plan spills onto a second page, they are put out-of-sight and out-of-mind; placed in a manila folder never to be seen again. It is time to add the power of ‘simple’ back into your life – at work and home. Peal away the distractions that are getting in the way of your goals you want to achieve. Why your plan deserves your signature! Designed to be changed, updated, and used daily! This plan is not designed to be P.O.S.H. Life our lives, a Single Page LIfe Plan© is not supposed to be perfect, overloaded, set-in-stone, or hidden. It is designed to work … and it does, every day! Included, is a ‘tear out’ template of a Single Page Life Plan© that you can use, along with brainstorming ideas throughout the book, to make your plan 100% personal to you! 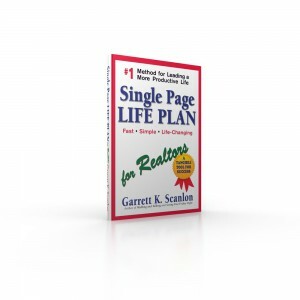 START TOMORROW TODAY, and order the book, Single Page Life Plan!